Showing results for tags 'for rent'. Full Private Region For Rent - L$50k, per month. Not a homestead. Full SIM For Rent - L$50k, per month. Not a homestead. It's a full private region. You will have full region control, residential or commercial, and be able to parcel the SIM and rent it however you want. Please IM Lord Doobie inworld for details. 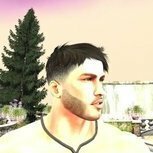 If I'm not inworld, your message will be forwarded to my e-mail. I will respond asap. rentals Multi-Scene Deluxe Homes - 400+ MultiScene Skyhomes Rentals Change your Home whenever you like! http://maps.secondlife.com/secondlife/Kraddic/193/206/60 1024m2, 350 prims (more prims available for negotiation if needed) in adult mainland region. Any TOS-compliant activity allowed. L$200 a week rent. A few different plots available for rent, just pay the rent box and I'll invite you to the relevant group: http://maps.secondlife.com/secondlife/Reedenham/85/120/70 - 512m2, 175 prims, L$100 a week http://maps.secondlife.com/secondlife/Bexington/112/168/61 - 512m2, 175 prims, L$100 a week GONE http://maps.secondlife.com/secondlife/Bexington/8/128/58 - 512m2, 175 prims, L$100 a week http://maps.secondlife.com/secondlife/Bexington/142/172/63 - 1024m2, 350 prims, L$200 a week GONE http://maps.secondlife.com/secondlife/Kraddic/195/209/60 - 1024m2, 450 prims (not a typo! ), L$250 a week.